NOMA PGH’s Develop Team is hosting the kickoff to the ARE Workshop Series. 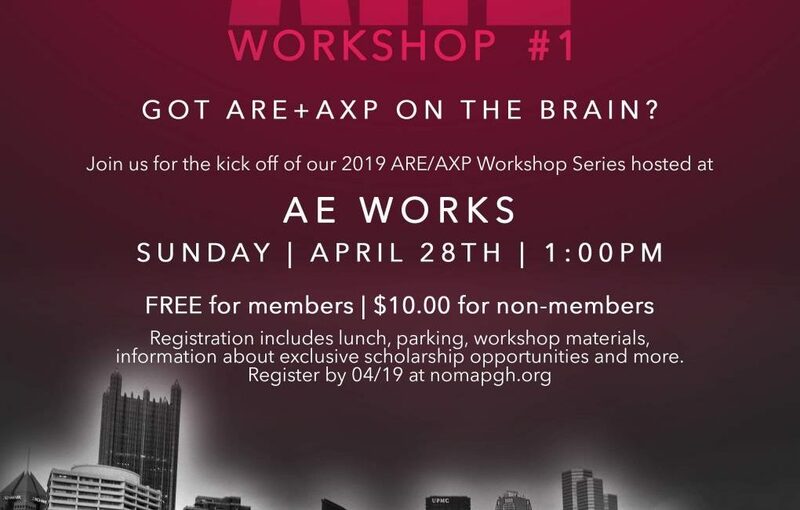 These workshops are meant to aid and support our fellow designers who are trying to receive their license! 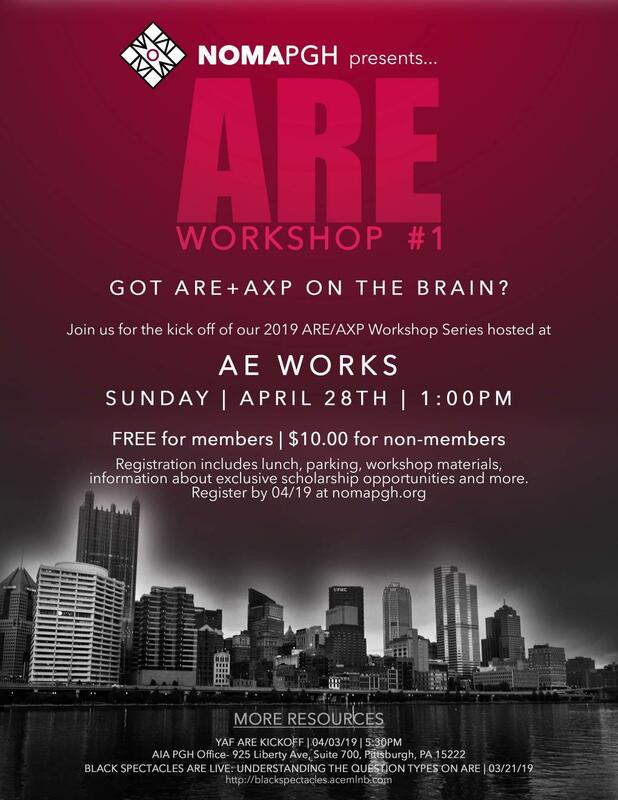 This workshop will be free for NOMA PGH members and just $10.00 for non-members – this includes refreshments, parking, workshop materials and MANY MORE! Please join us on April 28th at 1:00pm.